Running out of space? Looking for mezzanine floor suppliers? 2h Storage Solutions are mezzanine floor suppliers, giving businesses the chance to stay in their premises for longer. By installing a mezzanine floor, you can expand your usable space within your existing premises. Where there is sufficient headroom, mezzanine flooring can be installed to provide additional storage, offices, production areas, etc. You can also save on expensive building costs by using existing areas which you are already heating/ lighting. 2h Storage Solutions can advise design and install your new floor, taking care of all building control applications and requirements. Due to the wide variety of finishes available, the mezzanine floor can be custom designed to fit in with any existing decor and design. We can achieve any type of finish you desire from functional storage to prestigious offices. 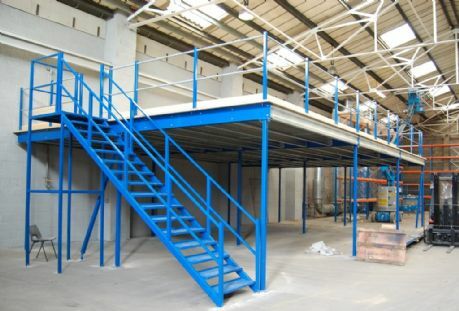 Mezzanine floors give businesses the chance to stay in their premises for longer. 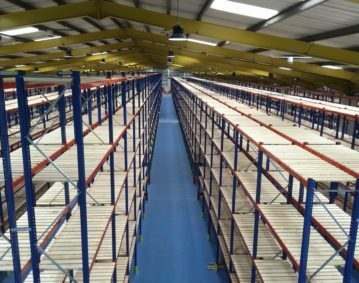 From single tier to multiple tier mezzanine floor systems 2h Storage Solutions can work with you to increase your storage. 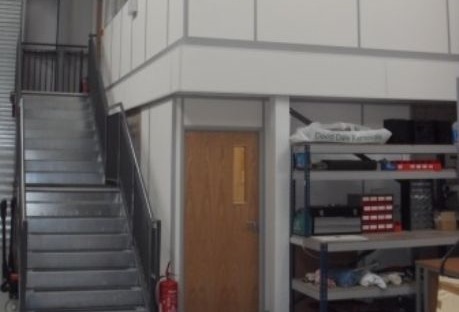 Mezzanine Office Solution Take advantage on our combined office mezzanine floor installations. Below are some of our successful mezzanine flooring projects completed in and around Yorkshire and the North of England.